September 11th is Grandparents Day in the U.S.
September 11th is Grandparents day. This pattern let's grandma and grandpa know they are totally awesome. 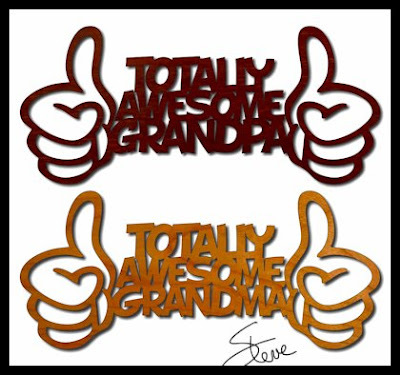 Here are a few quotes about grandparents for your enjoyment. If you use one of my Key Fob pattern generators you need split rings and ball chain. 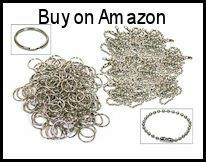 This pack contains 100 split rings and 100 ball chains with links. 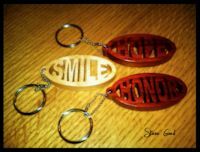 People love to get these custom key chains as gifts. Here is an example of how to use the split rings and ball chain. If you look on the blog towards the bottom of the page you will see some free software that lets you customize key fobs. Check them out.